Ammonia gas is present in the atmosphere of every poultry house. It results from the chemical decomposition of uric acid in droppings left by the birds which leaves certain bacteria in the litter. Ammonia levels are particularly high in houses where the same litter is used for successive flocks. The main factors affecting atmospheric ammonia concentration in poultry houses are litter conditions and air movement (ventilation). Moisture content, pH and the temperature of the litter, influence the degradation of uric acid by the bacteria. Poor ventilation, loose droppings and faulty, over filled or low positioned drinkers, are common causes of wet litter in poultry houses. 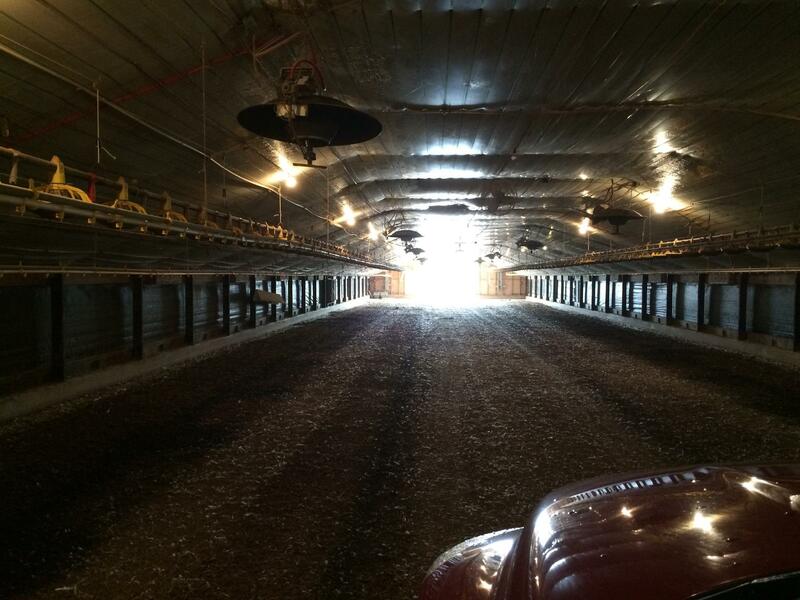 Here are some before and after photos of the difference that our PLT Litter Amendment made in a broiler house. In the photos, you can clearly see the ammonia dissipating instantly after our application. 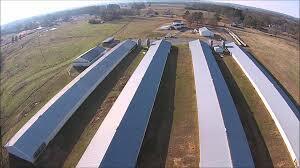 Another area ammonia has a significant impact on broiler health is the eyes. When poorly managed litter and improper ventilation allow ammonia levels to reach 50-100 PPM, ammonia actually dissolves on the eyes to produce ammonium hydroxide. This irritating alkali can cause keratoconjunctivitis. If levels greater than 100 PPM persist, corneal ulceration and blindness may occur. Visible signs of ammonia damage include swollen or red eyelids, and partial or complete closure of the eyes. 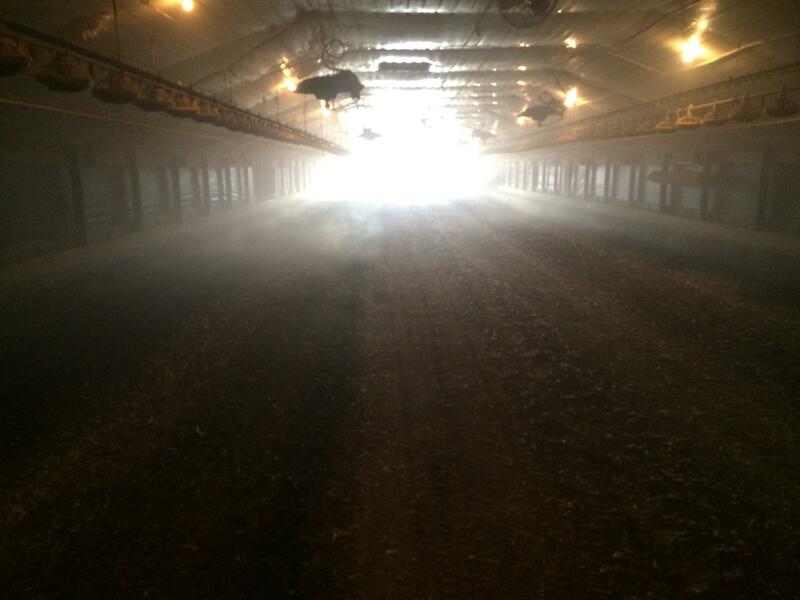 As with respiratory health, ammonia blindness is a significant broiler health issue. By the time ammonia levels are high enough to cause blindness, the birds have already lost a significant amount of weight and feed conversion. The severity of damage depends on the concentration of ammonia and duration of exposure. 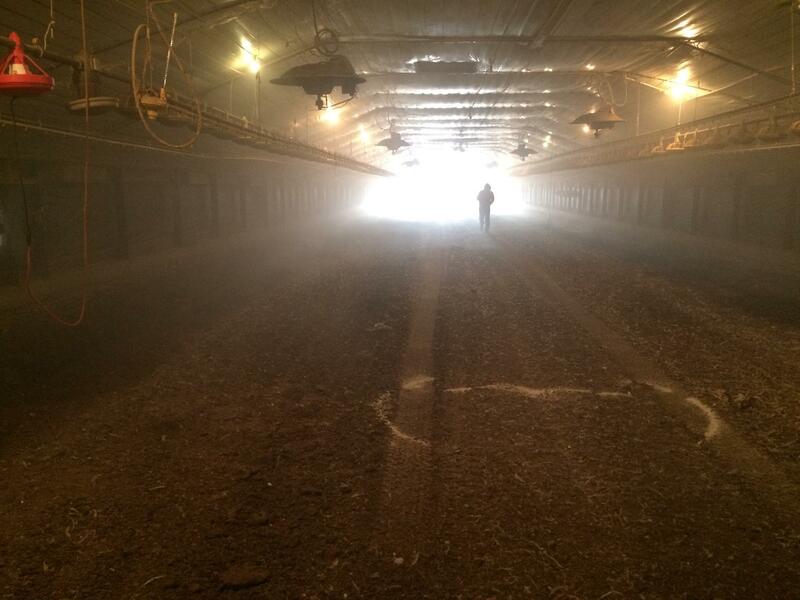 With proper litter management procedures, however, ammonia blindness can be avoided for improved broiler health and performance. We provide safe, economical and environmentally friendly products that help manage some of the most significant issues the poultry industry faces. Call us today, and let us get you on the books for your PLT Treatment. 870-887-0773 Fax 870-887-0774. Our techs are available to answer any questions that you may have. We are here to help you. ← Dandelions….Do you SEE a WEED or a WISH?